As some of you may know, Dave is a bit of a petrolhead and absolutely loves his white Jaguar. We quite often get into discussions comparing notes between my Tesla and his Jaguar. A couple of weeks back, we got onto the subject of top speeds and I asked Dave how fast would his car actually go if we put it on a racetrack, 100 miles an hour, 110, 120. It’s hard to say. Dave suggested that we go to a racetrack to test out how fast his car would actually go. 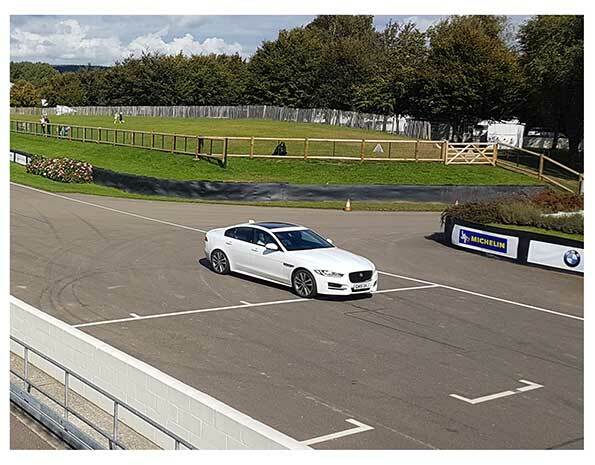 I went online and booked a track day at the Goodwood Race Circuit. A week later, we both turned up at the race circuit. There was a very interesting mix of people at this event, drivers with regular street cars such as BMWs and Mercedes to the most serious bunch, the people who obviously did this as their full-time hobby. This consisted either of very fast sports cars such as McLarens or Aerial Atoms or modified Japanese imported cars like the kind of cars you see in the Fast and the Furious films!! I decided not to be a passenger in the car as this would fill me with horror so I decided to stand on the track side and take photos. I could see Dave was having great fun and managing to overtake and outmaneuver cars which were much more powerful than his. 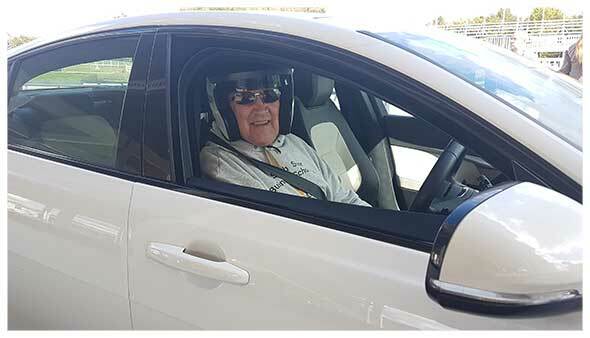 On the main straight, Dave managed to get up to 119 miles per hour. Pretty incredible especially since Dave’s car is a diesel. Here were loads of different cars there ranging from 30 -year-old BMWs to very expensive brand new McLaren sports cars that cost hundreds of thousands of pounds. I guess they were kind of paranoid about writing their cars off. Now the guys in the much older cars which they had obviously modified themselves were taking much higher risks and seemed to be having a lot more fun. The same thing is true with internet marketing and affiliate marketing. Simple is sometimes best. There are all sorts of expensive, complicated and glamorous tools you can buy as an internet marketer. Sometimes you just need to get back to basics, keep things simple..
Find an affiliate product to promote. Send traffic to that product. Well, that’s because it is. These are the strategies I use when I make sales with affiliate marketing. Would you like me to teach you how to profit from affiliate marketing the simple way? I’ll upload some photos from the track today to my Facebook page and also to my blog.